H&R Construction Co. employes two Wayne State graduates, Tanner Boyle '17 (left) and Greg Topf '04 (center). H&R Construction is owned by WSC alumnus Nate Herbst '01 (right). After graduating with a degree in industrial technology / industrial management-construction, Nate Herbst '01 now runs his own construction company. Nate Herbst ‘01 was raised in the small town of Salix, Iowa. After graduating from Westwood High School in 1997, he chose to enroll at Wayne State College. Herbst was a linebacker for the Wildcat football team, a highlight of many of his memories as a student-athlete. In 2001, Herbst graduated with a degree in industrial technology/industrial management – construction, and a minor in business. After graduating from WSC, Herbst worked for a general contractor in Sioux City, Iowa, where his primary responsibilities were estimating and managing construction projects up to $30 million. In 2010, he and his partner decided to start their own construction company. Each of them borrowed as much money against their homes as the bank would allow, and in August of that year, H&R Construction Co. was formed. 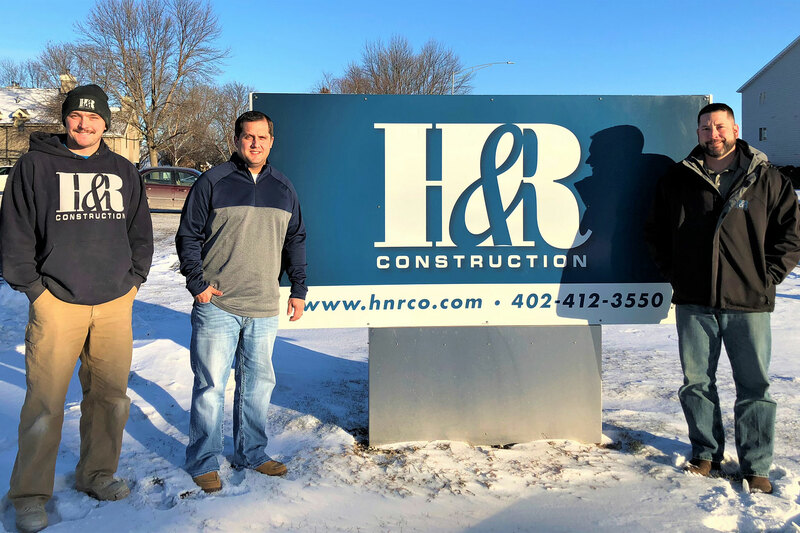 H&R Construction in South Sioux City specializes in construction projects that range from a few hundred thousand dollars to well over $25 million. Herbst said their primary focus is commercial, industrial, and institutional projects, such as automotive dealerships, manufacturing facilities, cold storage warehousing, schools, and hospital construction. H&R Construction employs 42 talented individuals as laborers, carpenters, superintendents, and project managers, two of which are also WSC alumni. Greg Topf ’04 is a senior project manager, and Tanner Boyle ’17 is in the supervisor training program. For more information about H&R Construction, visit www.hnrco.com.